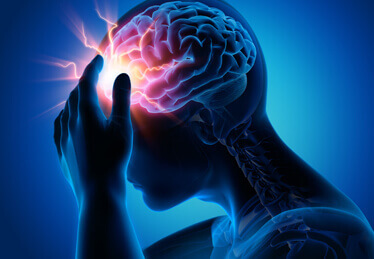 Epilepsy is a disorder of the central nervous system (CNS) and results from the surges in electrical signals inside the brain, causing recurring seizures or convulsions. It occurs when permanent changes in the brain tissue cause it to be too excitable, leading to transmission of abnormal signals and unpredictable seizures. Epilepsy has afflicted the human race since times immemorial and the earliest detailed account of the disease is mentioned in the Babylonian text on medicine which was written over 3000 years ago. For centuries people with epilepsy were stigmatized as they were considered to be demonically possessed or mentally ill because of the ‘fits’ or seizures. The Greeks believed that epilepsy was the result of a curse from the gods. Socially, epilepsy patients were shunned, secluded and were not considered fit to marry. It was Hippocrates, the father of medicine, who in 400 B.C. suggested that epilepsy was a natural brain disorder which could be treated with medicines and diet. However his theory failed to have an impact on the minds of people who were overpowered by the prevailing supernatural view. It was only in the 18th and 19th centuries that the electrical theory of brain function and epilepsy became popular. Thankfully, with the advancement in medical science and significant research findings many of the myths about epilepsy have now been eradicated. But there are still many parts in the world where epilepsy patients face the brunt of social stigma and remain untreated. Epilepsy can occur as a result of either brain injury; infection; tumour, abnormal brain development or metabolic or genetic causes. However, majority of the cases are idiopathic (with unknown cause). Depending upon the brain region affected, epilepsy seizures may manifest into different forms. Whilst in some cases the symptoms are mild such as brief jerks, brief head drops or a blank stare for a few seconds, in other cases symptoms may be severe enough to interfere movement or routine activities and may even cause hurt. Earlier the epilepsy treatment is initiated, better is the prognosis. To achieve positive treatment outcomes, determining the area of the brain affected and the kind of seizures being experienced is imperative. This is done through EEG (Electroencephalography), MRI (Magnetic Resonance Testing) and/or PET (positron emission tomography) scans. The conventional treatment for epilepsy involves the use of anti-epileptic drugs and most cases of epilepsy respond well to carefully chosen medications. In children epilepsy may co-exist with other developmental disabilities such as mental deficit and speech and behavioural problems which need to be addressed through support therapies. In complex cases where a patient experiences multiple forms of seizures, anti-epileptic drugs may fail to alleviate the symptoms. For such patients, surgery or implanted devices such as vagus nerve stimulators may prove helpful. Stem cell therapy is another promising treatment option in cases where conventional treatment has failed and can potentially cure the patient. Living with epilepsy can lower a person’s confidence and self-worth. However, sometimes the attitude towards the condition and the patient may be more incapacitating than the condition itself. Hence, apart from adequate and timely treatment it is essential to be supportive and caring towards an epileptic patient.